Integration is the discipline which is required by every solutions architect who designs and builds enterprise software systems. It is the glue between heterogenous systems which are brought into the enterprise system to cater new consumer demands. Almost 50% of the implementations done within an enterprise are related to some sort of integration. It is quite evident that integration is not a one-off task. It is an adaptive and iterative task which needs to keep up with the pace of innovation. Microservices Architecture (MSA) and cloud-native architectures have made integration more and more complex and the standard integration technologies and methodologies we used in the past are no longer capable of handling these complexities. In this talk I will be talking about how we can do integraton in an adaptive and iterative manner within a fast moving enterprise. 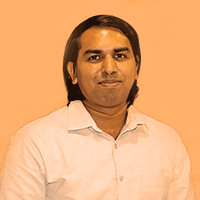 Chanaka is an Associate Director of Solutions Architecture team where he helps customers to build their enterprise systems by providing architectural and implementation guidance. He was the product lead of the WSO2 ESB team where he lead the research and development efforts of WSO2 ESB 5.0.0 before moving into the Solutions Architecture team and was one of the founding members of the Ballerina Cloud native programming language. Chanaka has spoken at WSO2 Conferences about integration technology and provided technical guidance to customers of healthcare, banking, hospitality and telecommunications domains. Chanaka is an avid writer who writes artciles on DZone, Medium and LinkedIn about WSO2 technology as well as topics like Integration and Microservices Architecture (MSA).